Building Information Modelling continues to be a highly sought-after skill for architecture firms. Here are four BIM-related opportunities available on Dezeen Jobs, including roles at architecture practices Herzog & de Meuron and Grimshaw. Switzerland-based Herzog & de Meuron has an opportunity for a BIM lead to join its firm in Basel, Switzerland. 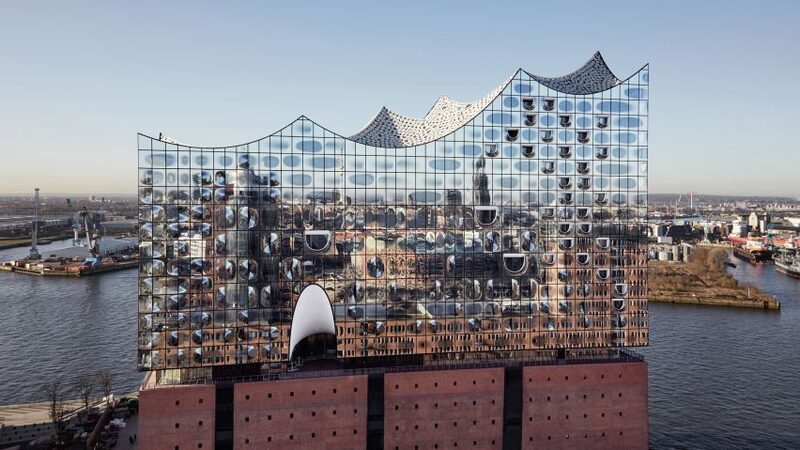 The studio overhauled a 1960s warehouse on the river Elbe in Hamburg, to create the Elbphilharmonie concert hall. Grimshaw is looking for a project BIM manager to join its practice in London. The firm is developing a horse theme park and race course in South Korean city Yeongcheon, which will comprise of a grandstand with a latticed canopy surrounded by meandering water pools and landscaping. Soho House converted a former bank in the City of London into a hotel, members' club and dining venue called The Ned. The company is recruiting a BIM coordinator to join its team in London. Caruso St John Architects is seeking a German-speaking BIM manager to join its office in London. The practice renovated and extended the Liverpool Philharmonic Hall with the aim of preserving the architectural heritage of the building, while enhancing the concert experience for audiences and performers.